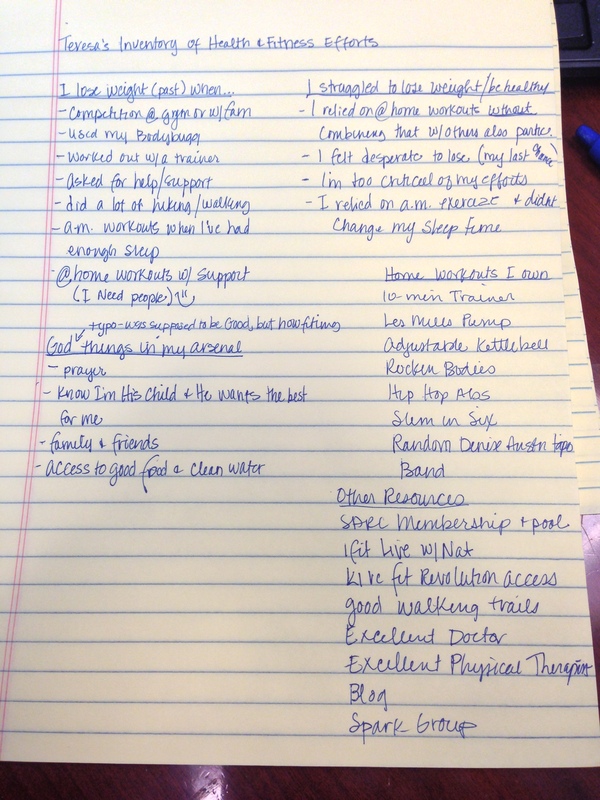 Priorities | Finding My Inner Athlete! I used to work in retail. At least once per year the normal day-to-day activities of the store would come to a screeching halt, the doors would be locked, and everyone would start the counting. It was important for the business to know what had been selling, what had not, and if the funds we had brought in matched the amount of product that was no longer in stock. They have great computerized ways to handle this now. I’m glad I had the opportunity to go through that process several times when I was younger. It really helped me to understand the importance of taking an inventory and matching that information up with sales to see what was working, what was not, and where to focus our efforts for improved sales in the future. Our day-to-day lives are much like retail. We need to stop every now and then and take an inventory. What have we been doing? What worked? What didn’t work so well? Are there areas where we can improve? What strategies can be implemented to help in the areas we are lacking? What will we order more of? What can we remove from our inventory because it isn’t working? As you may know, my weight has been a struggle for me for the past 25 years. I’ve had moments of greatness where I’ve accomplished weight loss and felt like I had conquered the world. I’ve had many many more moments where I’ve felt like a failure. Sad. Unworthy. Shame. Like a fraud. I so badly want this time to be different. My belief is that the best way to start is to take an inventory. Here’s a start. Have you ever heard someone say, “I would give anything to _____.” (fill in the blank with whatever it may be….sing like Josh Groban, play ball like Michael Jordan, have the wealth of Dave Ramsey….you get the picture). I’ve certainly said this. I frequently say it about playing the piano. I’ll listen to my nephew play the piano and think, “I would give anything to play the piano like him.” But….would I really? I didn’t practice when I should have. Or I did it begrudgingly. Or…. When the opportunity to choose between playing the piano or playing with my friends/playing sports my choice was anything but the piano. My nephew practiced every single day! Sadly, when it comes to my health and weight loss, my mode of operation has been much more like that loveable but delusional character, Whimpy, from the Popeye cartoon from whence my title came. I’m usually more than willing to eat something I shouldn’t and pay the price of it later than I am to eat what I should and work hard (paying for it now) in order to reap the much better reward later. It did get me thinking. I want to be healthy. I want to be fit. And let’s face it…I’d like wear a dress made with half the fabric of my current size without going half-naked 🙂 . What am I willing to do to have that? Track my food? (which I hate) Schedule exercise? What am I willing to go without/sacrifice? Money? Time? Comfort? What am I willing to add? You get the picture. If I’m not willing to do something different than what I’ve been doing then nothing will ever change. At least not for the better. Are you really willing to give anything to ________ (fill in the blank)? What does that look like for you (right here, right now—this may change over time)? What are you willing to do/go without/sacrifice/add today that will help you achieve that goal?